Waking up in the morning with sore teeth is a classic sign of temporomandibular disorder (TMJ/TMD). When the teeth do not fit together properly (occlusion) your body will subconsciously want to put the bite in a position that it finds most comfortable. As a result of the incorrect bite, the jaw will slide from the comfortable position to the “bad bite” position. Many times the teeth will be together when this occurs causing the teeth to grind or clench. The dental term for grinding teeth is bruxism. Many patients subconsciously grind their teeth at night. This chronic clenching and grinding irritate the ligaments that hold the teeth in the jaw. The irritation many times causes pain and increased sensitivity to hot and cold liquids and foods. It is not uncommon for a patient to think they have an infected tooth needing a root canal because the pain is so severe. A properly trained dentist in Neuromuscular Dentistry and occlusion (the bite) can identify the cause of the pain and discomfort and suggest the appropriate course of treatment. Dr. Carol F. Morgan, DDS and her team can help your pain associated with TMJ disorders whether you live in Virginia Beach, Norfolk, Portsmouth, Chesapeake, Suffolk, Hampton, Newport News, York County, Williamsburg or any other surrounding city in Hampton Roads. Sensitivity in teeth may take many forms. A patient may have sensitivity and pain resulting from eating or drinking hot or cold food and drink. Many indicate that they must chew on the opposite side of their mouth because of pain while chewing. It is not uncommon for a patient to start complaining of pain or sensitivity in a tooth following a dental procedure such as a filling, crown or root canal. If a recent dental procedure affects the way the teeth fit together, it may cause pain in the teeth and other TMD symptoms. There are many reasons why a Temporomandibular (TMJ) disorder patient may have pain or sensitivity in their teeth. Patients who clench or grind their teeth frequently have sensitivity in their teeth. Patients whose bite (occlusion) does not fit properly many times apply more chewing pressure to one side of the mouth than the other. Unfortunately, when seeking relief from a problematic tooth, many patients are misdiagnosed and may even go as far as having the nerve from the tooth removed with root canal therapy or even having the tooth extracted. The worst part is that many times these measures may not relieve the pain, and can actually make it worse. A Neuromuscular dentist is specially trained in diagnosing Temporomandibular disorders including tooth sensitivity and pain. Many times properly aligning the bite (occlusion) will relieve and reduce the strain on the jaw and teeth resolving the issue of sensitive teeth. Dr. Carol F. Morgan, DDS, can help your pain and discomfort associated teeth sensitivity whether you live in Virginia Beach, Norfolk, Portsmouth, Chesapeake, Hampton, Newport News, York County, Williamsburg or any other surrounding city in Hampton Roads. Bruxism is the dental term for the prolonged, unintentional grinding and clenching of the teeth. This usually occurs during the nighttime when the patient is sleeping. “Bruxers” are often unaware that they have developed this habit. Symptoms include abraded or chipped teeth (in extreme cases, waking up with tooth chips in the mouth); facial pain; oversensitive teeth; tense facial and jaw muscles; headaches; dislocation of the jaw; damage to the tooth enamel, exposing the inside of the tooth; a popping or clicking in the temporomandibular joint (TMJ); tongue indentations; damage to the inside of the cheek. Clenching or grinding of teeth is the body’s way of telling you that it is not happy with the current position of the teeth and jaw (occlusion). It is the body’s involuntary desire to move the jaw to a more comfortable position. This back and forth movement literally grinds down the teeth as if somebody was filing down the tooth structure. The damage that is caused to the natural tooth structure is irreversible. If the teeth are damaged too far, restorations will be needed to return the teeth to proper function and aesthetics. An experienced Neuromuscular dentist can properly examine, test, diagnose and treat a patient who clenches and grinds their teeth returning the patient to a pain-free lifestyle. Dr. Carol F. Morgan, DDS, can help the clenching and grinding of teeth associated with TMJ disorders whether you live in Virginia Beach, Norfolk, Portsmouth, Chesapeake, Hampton, Newport News, York County, Williamsburg, or any other surrounding city in Hampton Roads. Many patients find themselves massaging their face and jaw to comfort their facial pain. The face has a complex network of nerves, muscles and bones. When a patient’s bite is not properly aligned, the jaw is not properly aligned in the Temporomandibular (TMJ) joint. 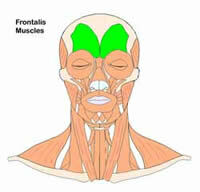 This can cause a tremendous amount of stress on the muscles and nerves of the face. It is easy to understand that when the jaw is not in its proper Neuromuscular position, the muscles of the face try to compensate for the misalignment. 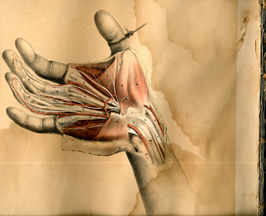 The muscles usually go into spasm (an involuntary contraction) and become extremely painful. Facial pain many times makes speaking, eating and breathing difficult. Pain sometimes gets so bad that patients may have limited ability to open their mouths or find that their jaws lock into a limited position. We can help facial pain problems by working with the source of the problem. A Neuromuscular Dentist will diagnose, stabilize and realign your bite so that the teeth, muscles, and joints all work together without pain. Dr. Carol F. Morgan, DDS, can help pain in your face pain associated with TMJ disorders whether you live in Virginia Beach, Norfolk, Portsmouth, Chesapeake, Hampton, Newport News, York County, Williamsburg, or any other surrounding city in Hampton Roads. Posture, especially head posture, can also play a significant role in your occlusion. The jaw could be considered one end of your interrelated skeleton, with the feet being the other end. If any part of the skeletal system is affected, it may in turn affect other parts of the system. One of the most common postural problems found with patients suffering from Temporomandibular disorder is forward head posture. When a patient’s bite (occlusion) is not in its most comfortable Neuromuscular position, the body subconsciously pushes the head forward. One of the most common reasons for this is because the patient has an airway obstruction problem. Patients with an airway issue, may find that they snore or breathe through their mouth more often than breathing though their nose. As the head is pushed forward, the airway “opens up” allowing the lungs to more easily inspire air. As a result of the forward head posture, the muscles of the neck, shoulders and upper back are strained causing pain and discomfort. Many patients are found to have trigger points (seriously painful parts of a muscle) in the neck, shoulder (trapezius) and upper back muscles. Chiropractors or physical therapists may assist in the resolution of the trigger points. Your Neuromuscular dentist will address the root cause of the pain, so you will not have the forward head posture and muscles spasms. Neuromuscular dentistry acknowledges the multi-faceted musculoskeletal occlusal signs and symptoms that relates to postural problems involving the lower jaw and cervical region. Dr. Carol F. Morgan, DDS, can help your back pain and posture problems associated with TMJ disorders whether you live in York County, Williamsburg, Virginia Beach, Norfolk, Portsmouth, Chesapeake, Hampton, Newport News, or any other surrounding city in Hampton Roads. Many patients experience Neck and Shoulder pain or stiffness related to Temporomandibular (TMJ) disorders. When your teeth and jaw do not fit together properly, there will be an imbalance in the jaw to skull to neck relationship. When the jaw and head or not properly aligned to the body, this abnormality will many times refer pain to the muscles of the neck, shoulder and back. When the bite of a patient does not fit correctly, many times the head will not be properly aligned with the spine, as the body tries to compensate for the pain the patient is realizing. We find many times a patient’s head will lean forward which is the body’s response to make the bite feel better and allow the patient’s airway to open more. As you can imagine, as the head leans forward, this causes a tremendous amount of strain on the muscles of the neck, shoulder and upper back. The average weight of a human head is between 12 and 15 pounds. There is much less strain on the muscles of the neck, shoulder and back to hold the head in its anatomically correct position directly above the shoulders. 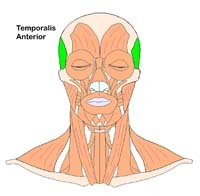 Additionally, many Temporomandibular (TMJ) disorder patients are found to have one shoulder higher than the other. A Neuromuscular Dentist is trained to examine the way the eyes, mouth, head, neck and shoulders are aligned. The vast majority of the time after a patient’s bite is returned to its Neuromuscular position, their alignment of their head and spine return to their anatomically correct position. Dr. Carol F. Morgan, DDS, can help your pain associated with TMJ disorders whether you live in York County, Williamsburg, Virginia Beach, Norfolk, Portsmouth, Chesapeake, Hampton, Newport News, or any other surrounding city in Hampton Roads. 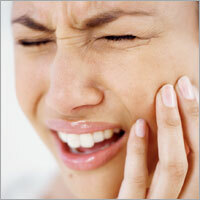 Headaches and Migraine headaches are a very common symptoms of Temporomandibular (TMJ) Disorder. It is common to hear patients report that they feel like there is a vise on their heads or the pressure is unbearable. Many patients take extraordinary amounts of prescription and over-the-counter medication to include Excedrin®, Tylenol® and Advil™ or Ibuprofen searching for relief. Do not be surprised if “medication therapy” only gives slight relief or only temporary relief. Each year more than 28 million Americans, a majority of them women, suffer from chronic migraine headaches. They must work and spend billions of dollars on medications and other remedies. If you suffer from migraine or tension headaches, they may be caused by your occlusion (bite). The good news is, that if it is your bite that is the cause of your headaches, it is easy to treat and correct. The pain you have in you head and neck could be due to the fact that your jaw is not resting where it wants to be, leaving your jaw muscles in a state of chronic contraction (spasm). It is the muscles of the temple area of the forehead that play an important role in the posturing and closing of the jaw. 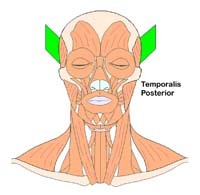 The Frontalis, Temporallis Anterior and Temporallis Posterior muscles most likely are in spasm causing excruciating pain. When your occlusion (bite) is not in its proper Neuromuscular alignment, the muscles of the jaw, face and head are overworked and their normal working cycle is disrupted. The headache pain that this disruption may cause can be excruciating.